Spotted: L’OREAL Voluminous Miss Manga Mascara. L’OREAL Voluminous Miss Manga Mascara Retails for $7.99. I just wanted to do a quick spotted post for you today. 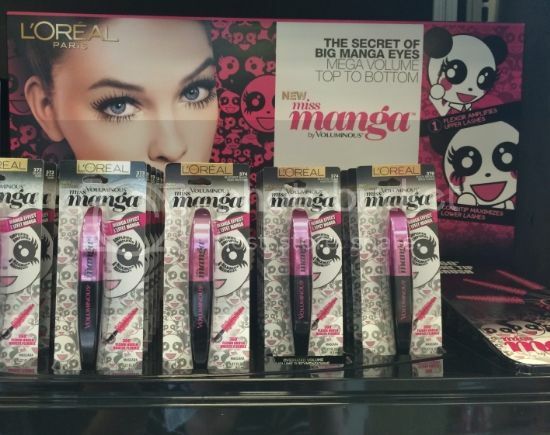 Last night I stopped into CVS for a few things and while I was there I spotted the new Miss Manga Mascara from L’OREAL. I’ve been hearing lots of great things about this mascara from bloggers outside the states for a while now so I was excited to see it finally show up at a store near me. Miss Manga mascara was Inspired by the Japanese Manga theme and it’s supposed to give you that Doe Eyed/Wide Awake look. I’m wearing it for the first time today and while I won’t go into a full review just yet I will say I like it so far. Look for a full review shortly though. Miracle Skin Transformer Review & Giveaway!